To say the Juke Of York has taken to the decks like a duck to water is frankly overstating our billed friends ability to float. 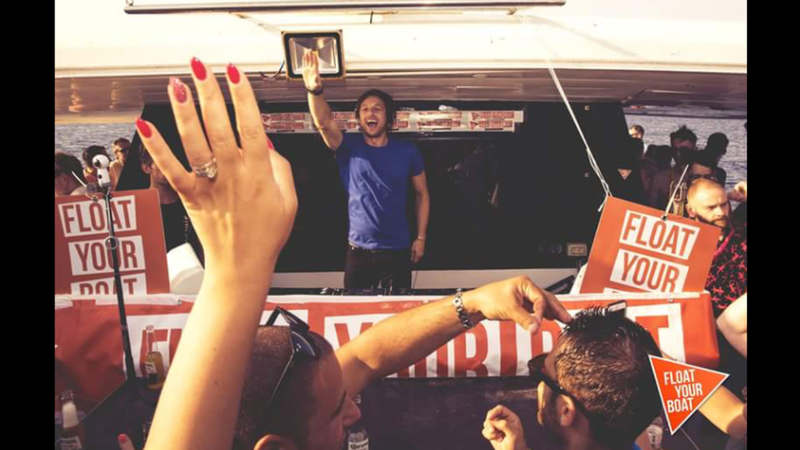 His third DJ gig ever was in Ibiza, playing this year’s legendary Float Your Boat closing party at the insistence of Fatboy Slim. It’s simply the latest in a long line of successful music outings for the man whose well-worn passport says Pete York. As the frontman and bassist of Jonny Quality he appeared on TV shows across the US and UK, including the Conan O’Brien and Jonathon Ross shows. The band was where Pete first met Fatboy Slim, with Norman astonishingly offering his services as a support DJ. The chaos when this band of brothers turned up at Brighton boozer The King & Queen was predictable, and Pete paid Mr Cook back by joining David Byrne, Iggy Pop and Dizzee Rascal on Norm’s BPA album. After the band split Pete had another success with Watts The SP, but disaster hit when he suffered an injury that could have left him paralysed. While recuperating he fell back in love with house music and made some beautifully uplifting tracks that he worked into similarly joyful mixtapes. A request for him to play a friend’s birthday led to a booking at the Brighton venue’s prestigious Pride party. And the next thing Norman Cook is sending him Ibiza flights. Stardom is merely a formality at this point. With the London 02 arena playing to 20,000 people, Amnesia Ibiza, The Arch in Brighton and the Brixton Academy in London under his belt, and many more prestigious venues lined up, with an EP full of new tracks due for release, the future sure looks very bright for this talented DJ and producer. He now brings his unique style and infectious energy to musical collaborations the world over and is a highly sought after DJ, vocalist, musician and producer working within the music industry. Email us here for bookings tours and gigs.